Amsterdam offers the Amsterdam tourist a unique location for a romantic dinner under the stars in a panorama rail carriage. The Panorama Rail Restaurant! A restaurant in the train was once very common, but is still rare. In 2014 two carriages were renovated in Germany after years of minimal effort and Rail Promo started a new future. The old parquet floor was restored, the kitchens were put into operation and became the workplace of Julius Jaspers and his team of Julius Bar & Grill. A former NS locomotive type E1200, 65 years old, with still a maximum speed of 140 km. per hour, takes care of a beautiful train ride with the carriages with number 022-9 and 027-8. 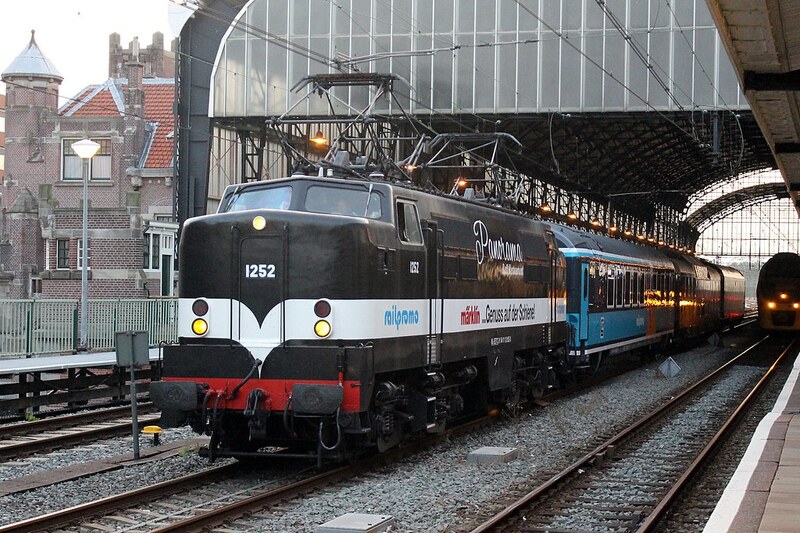 The train departs and returns at the Amsterdam Central Station. Guests are requested to be present fifteen minutes before departure at the right platform, so they can easily be taken to their booked table. During a ride of at least 2.45 hr. you can enjoy a delicious four-course dinner of which the menu changes every two months. Whether you prefer to sit 1st class or in the Panorama carriage, you will enjoy your culinary trip on Dutch rails! You travel in carriages with large windows. In no other restaurant the view is so changeable. A ride along the Amsterdam-Rhine canal, through the Green Heart of Holland, via the Hague and finally the oldest railway of the Netherlands from Haarlem back to Amsterdam. All of that while you enjoy your glass of wine. You can rent your own compartiment for a larger group or even rent the train for a business event. If you want to surprise a family member or friend with a giftcard there is the Panorama Rail Restaurant gift card. Tickets feature a barcode. This allows you to scan at the smartcard gates which will open automatically. This will give you free access to the platform. The correct platform will be indicated on the screens half an hour before departure. Friday and Saturday – 18.10 hrs. *Be present fifteen minutes before departure. Hello! I wish that the website for the Panorama Rail could be translated to English! My husband and I will be visiting Amsterdam in August and this is something I would be very interested in doing. Unfortunately I can’t read Dutch! Thank you for all the great ideas for happenings in Amsterdam. Your website has been very helpful in planning our vacation.